The 3535 is completely T304 stainless steel inside and out. There is no packing or moisture collecting material in the muffler. 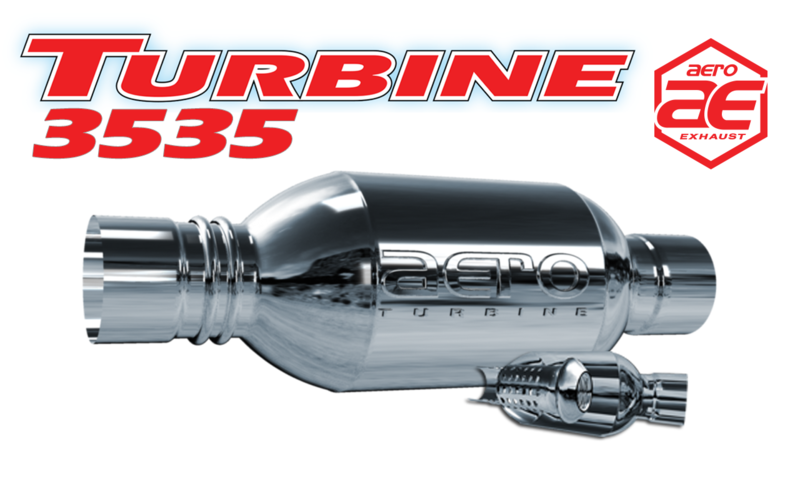 The hand-polished stainless steel 3030 will give you the look and feel that you want and the performance you deserve. 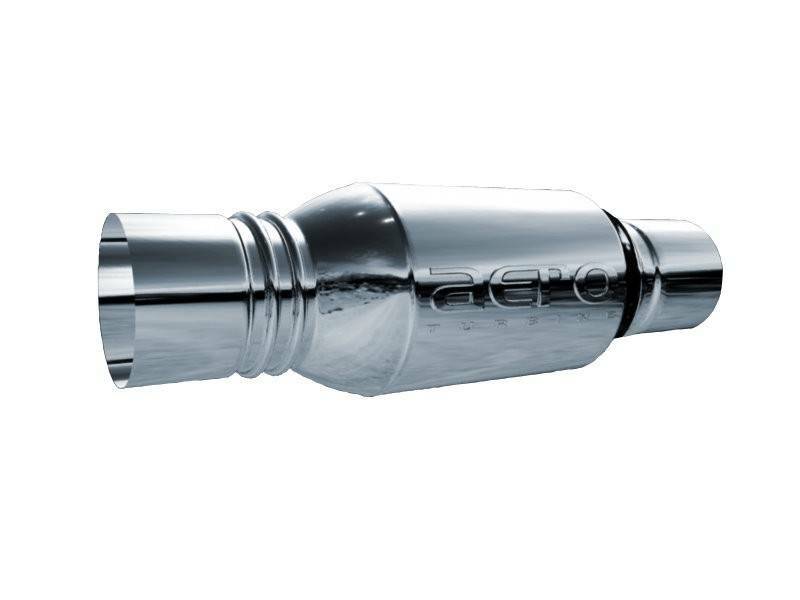 The Aero Exhaust Turbine AT3535 muffler will decrease exhaust gas temperatures while increasing horsepower, torque and fuel mileage. 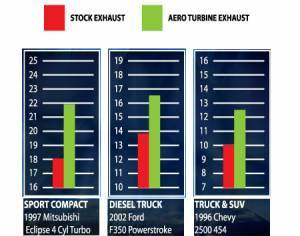 The AT3535 is most commonly used on Duramax and Powerstroke trucks that have a stock tailpipe of 3.5". 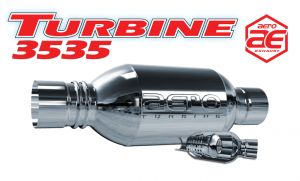 When you install the AT3535 you will not only get the benefit of increased exhaust flow but you will also receive a deeper, more aggressive exhaust sound.